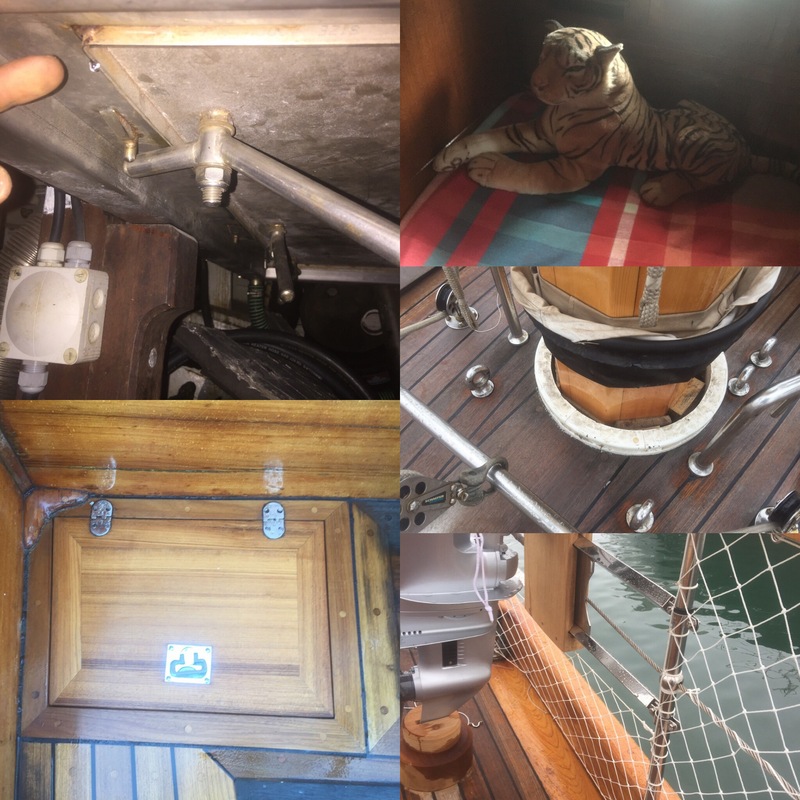 Yves started to fill her bilges with water last week, leaking like a sieve. Why is nothing simple with boats? Much investigation later, the good news it’s coming down, not up. It’s rain, not sea water. Mast seals, some deck caulking, the damned lazarette hatch and the cockpit sole. Will and his team tracked them down, and fingers crossed, she’ll be sealed by Tuesday. Nothing is simple with boats. You’d think boats wouldn’t leak, wouldn’t you?